I love dressing up for the holidays and Valentine's Day is no different. I love being festive and picking out an outfit to celebrate an upcoming holiday. 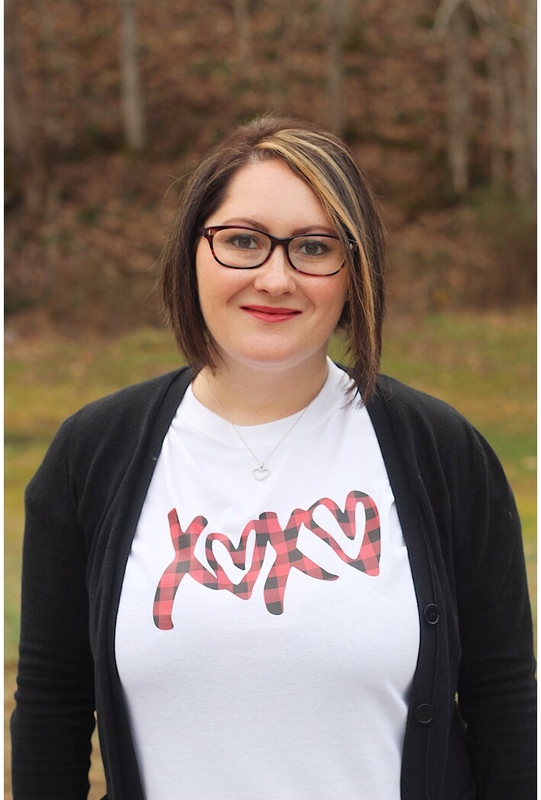 So when I saw this cute XOXO Buffalo Plaid shirt, I knew I had to have it. 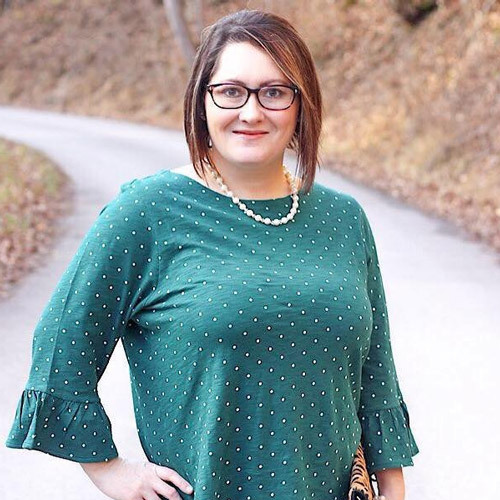 I love anything in Buffalo plaid and I wear it all the time during Christmas, so I definitely won't pass up an opportunity to wear it for Valentine's Day as well. 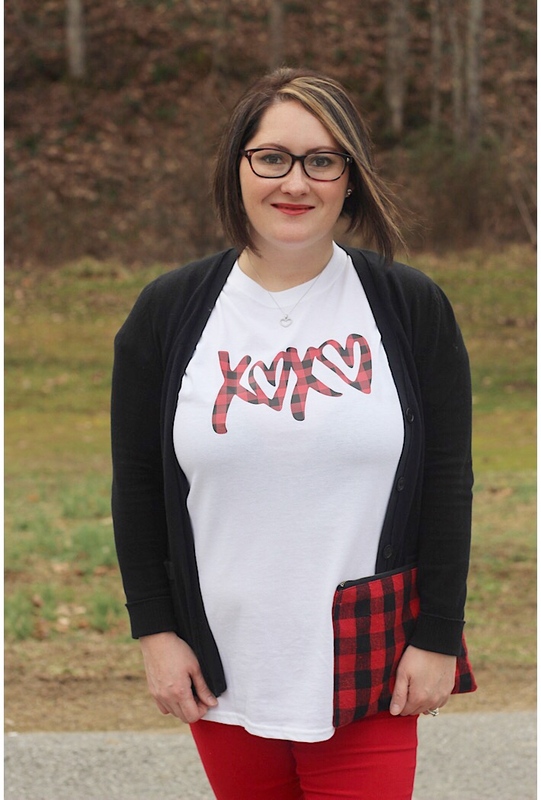 To make the design of the shirt stand out even more, I paired it with classic Valentine's red and black colors. 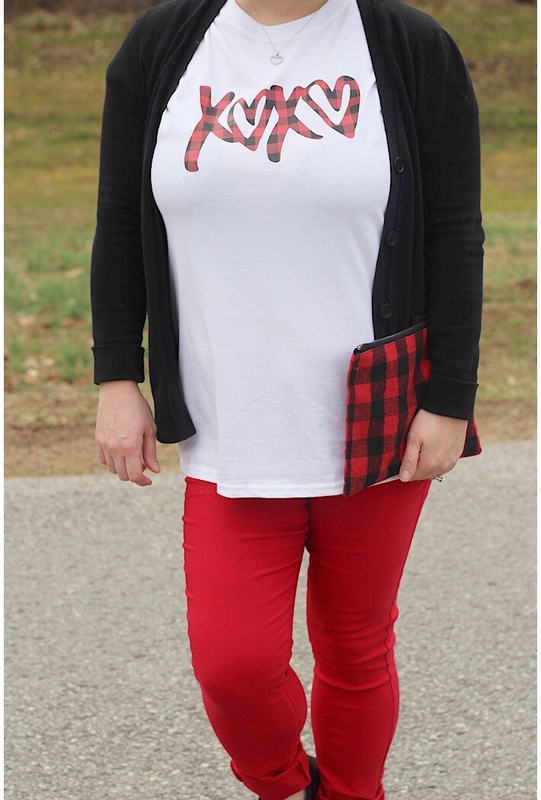 A good black cardigan makes this outfit go a long way as well as the red Jeggings. I'm loving the rolled up pant legs and the black ankle boots to give the outfit an even more stylish look. But to be honest, the accessories are my favorite part of this outfit. The heart necklace that my husband got me for Christmas is the perfect piece of jewelry to represent the holiday of love. 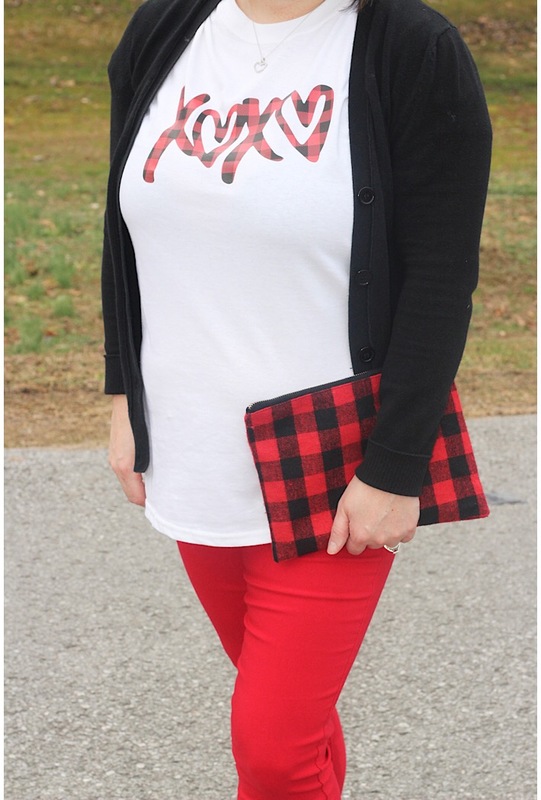 The buffalo plaid clutch is the perfect last addition to the outfit to make the outfit really pop, especially the plaid in the shirt. This look is the perfect combination of Casual and Cute. It can be worn to work, on date night or anywhere. 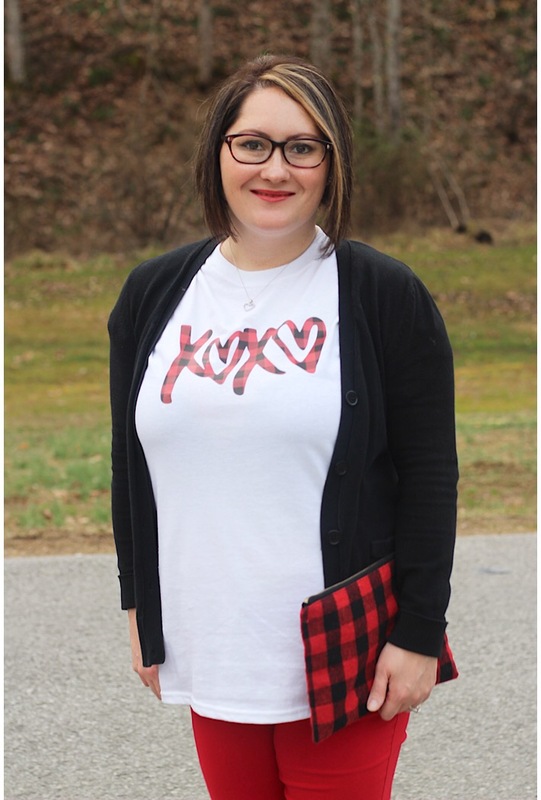 No matter how you style this look, this outfit is winning for Valentine's Day.